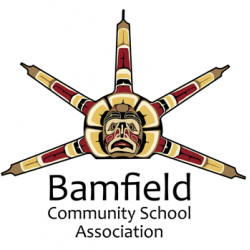 The Bamfield Community School Association published a first edition of the locally designed Bamfield ABC Book. Bamfield and Anacla residents were invited to make submissions based on personal reflections of Bamfield. Submissions were received in the form of drawings, paintings, photographs, poetry and short stories.To view the book in print format, please visit the Bamfield Community Library. The BCSA sponsored Media Programming for several years, encouraging community members and students alike to gain valuable experience in the field of television, video and radio broadcasting. Volunteers assisted in the creation of several local programs and news broadcasts. The local Bulletin Board style television station featured weekly news broadcasts directed, filmed and produced by Bamfield Community School students. Additional content included a variety of vignettes highlighting community events and projects as well as current news items, community announcements and upcoming events. The West Coast Learning Network contracted Sarah Donald throughout the summer of 2004. Sarah shared her theatrical talents with local youth interns while creating a community vignette based on real Bamfield Boardwalk experiences. The Community Garden is an ongoing fixture to Bamfield’s East side. The Community Garden is one of many project ideas that was brought forward by an individual seeking financial and social support. Happily the BCSA worked to secure a School Community Connections Program grant in 2008 and in so doing, made the vision of one a reality for the whole community to enjoy. The West Island Quarterly was a popular community journal that supported the writing, photography and publication skills of Bamfield’s residents. Published on a quarterly basis, the WIQ served as a communication tool used to share information, stories, and reminders of events to come and those past. The WIQ was a BCSA sponsored publication from 2009 till 2011. This festival was designed specifically with families in mind, with entertainment, fun and food being the focus. In addition to providing financial support, the BCSA installed the Cozy Reading Corner for the day, complete with library resources from the community library and information about the importance of reading with children. If there is a program you want to know more about or wish to suggest or revitalize please contact the BCSA.